This is the world’s oldest beef liver recipe ever recorded. The beef liver was a favorite in ancient Roman Empire enjoyed by the social elite. Butcher's meat was an uncommon luxury. Meat was scarce except at sacrifices and the dinner parties of the rich people. Ficatum refers to a liver fattened on figs. Athletes in the ancient world ate figs as a way of gaining muscle, so it is not surprising that this fruit was fed to animals to help them put on weight. Calf’s and lamb’s liver are less coarse than pig’s, and are also more generally available, you can use them for my version of ficatum porcinum. As a further variation on the original recipe by Anthimus, you fry rather than grill the liver as the meat tends to stay more succulent – the use of white flour is the classic French method of sealing in the juices – but you may prefer to keep to Anthimus’ instructions (Anthimus to c. 534 AD). Originally grown in Greece, coriander (also called cilantro or Chinese parsley) has been used as an herb since at least 5000 BC. It is mentioned in Sanskrit texts and the Bible; Latin used the word coliandrum, “coriander.” Coriander is one of the herbs thought to have aphrodisiac qualities; the Chinese used it in love potions. In The Thousand and One Nights a man who had been childless for forty years is cured with a coriander mixture. On the other hand, there are people who despise cilantro, describing the aroma and flavor as “soapy or metallic,” and some scientists believe that there is a specific gene that causes such a reaction. Related Food Facts: Cilantro Taste: Why Coriander (Cilantro) Tastes Like Metal or Soap to Some People? 1) Purée the coriander leaves in a blender with 2 tablespoons of olive oil and a pinch of salt until you have a smooth paste. 2) Pour another couple of tablespoons of olive oil into a frying pan. 3) How long to cook beef liver? Pat the slices of liver in the flour and sauté over a high heat for 2 minutes on each side. 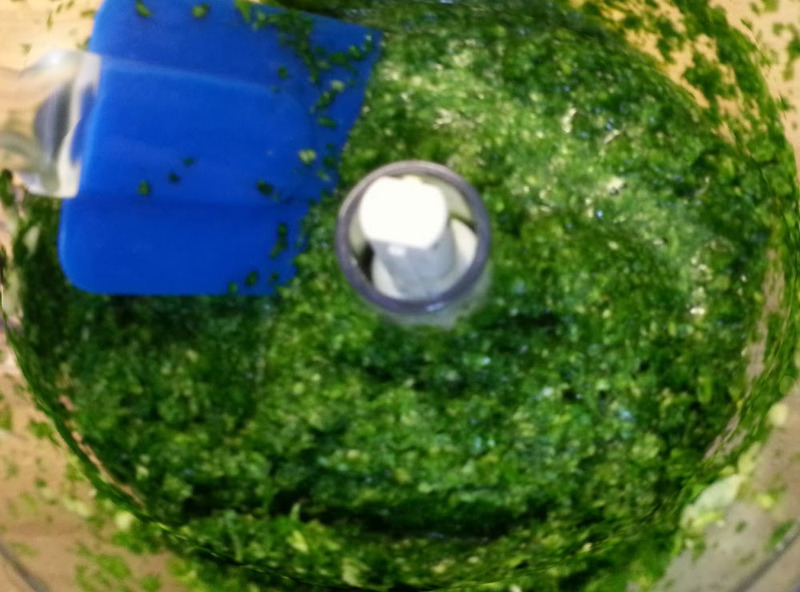 4) Serve each slice of liver with a spoonful of the coriander purée. 5) If you do decide to follow Anthimus, brush the slices of liver all over with olive oil, place under a grill for 3 minutes on each side and serve with the coriander paste as above. 1) Liver is the liver of an animal used as meat. Calf’s liver is milder and more tender than the liver of any other animal like swine. When buying for liver, you want it to be firm, not mushy. 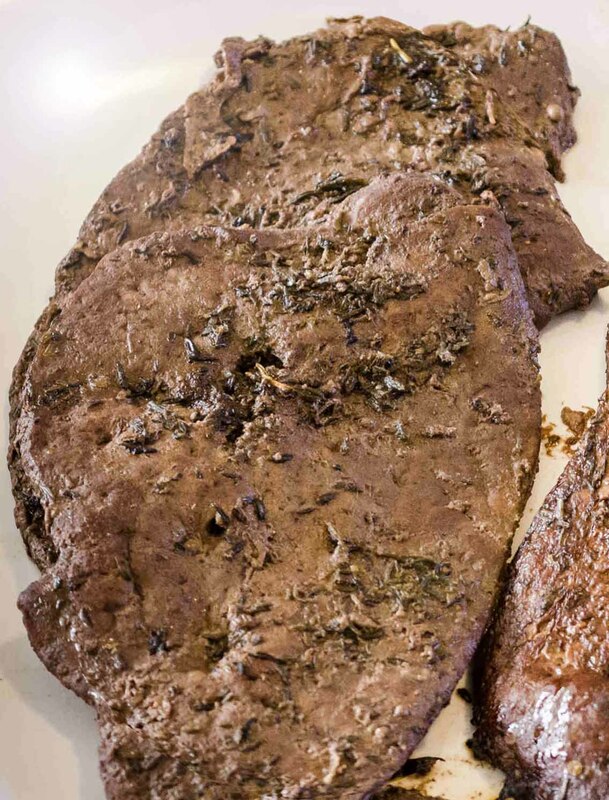 Don’t buy beef liver with any dark spots. 2) Beef liver is often sold frozen, whereas calf’s liver is too delicate to freeze. 3) Beef liver has a more intense flavor than chicken or calf’s liver. 4) How do you tenderize beef liver? Liver can be tenderized by soaking it in milk or tomato juice for a few hours in the refrigerator. Soaking liver in milk also helps to mellow its flavor. 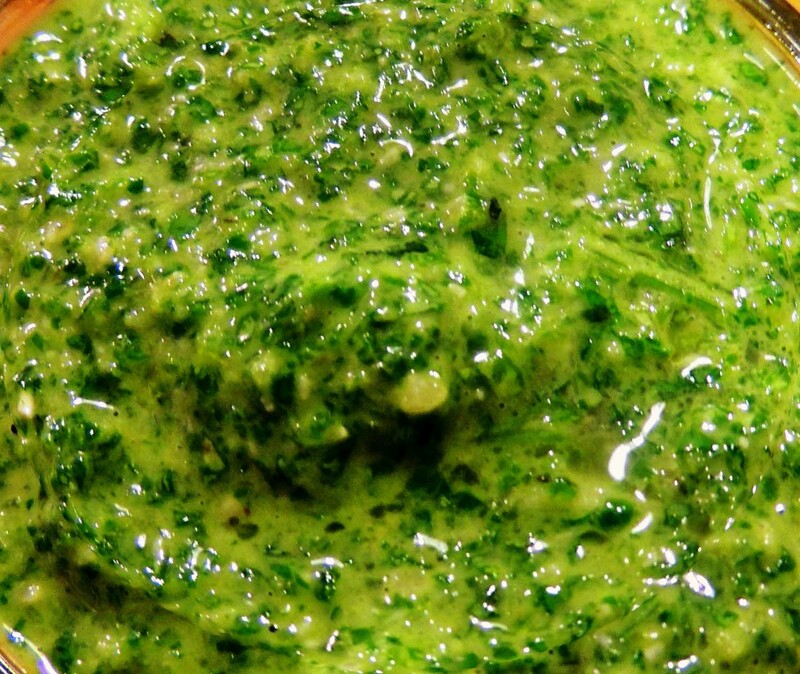 5) Cilantro loses flavor during long exposure to heat. Since the stems are tender, they can be used along with the leaves. 6) Cilantro leaves spoil quickly when removed from the plant, and lose their aroma when dried or frozen. Beef/calf liver — compared to chicken liver, beef liver contains a bit more calories, vitamin B12, vitamin B6, vitamin A, zinc and phosphorus. Numerous people discover that beef liver doesn’t quite taste as appealing as chicken liver. You can find beef or calf liver at some farmer’s markets or just ask your butcher he or she can get it for you. If it is possible it’s best to purchase calf liver over liver from adult cows, since this decreases the chance that you’ll consume hormones and antibiotics given to cattle. Is Beef Liver Fattening to People on a Diet? Are you interested about whether liver is fattening, and if so, is the fat content something to be anxious about? Liver is overall not very high in fat when compared to other animal produce, such as dark meat poultry, beef carcass, butter or full-fat dairy. One ounce of liver only has about two grams of fat. This is not to recommend that fat from quality animal produce is bad for you. Eating some saturated fat from animal foods can actually be very good for you. Healthy fats aid with neurological function, hormone production and reproductive health. For instance, in certain animal research studies, adding chicken liver to rats’ diets has been shown to help alleviate oxidative stress and improve serum lipid profile, despite the rats being fed a high-fat diet. Who is Anthimus, the Creator of this Beef Liver Recipe? Anthimus was a Byzantine physician at the court of the Ostrogoth king Theodoric the Great. Anthimus is known in the food history world as the author of "De observatione ciborum" ("On the Observance of Foods"), written either shortly after 511 AD, or sometime around 526 AD. The book is a valuable source for Late Latin linguistics as well as Byzantine dietetics. De observatione ciborum is the last cookbook to come out of the Western Roman Empire. It is more like a long letter than a book, it's written in Latin, not French, and it was written at a time when there was still a Roman senate. Some claim it is a French cookbook but it is not. In the ancient cookbook, Anthimus mentioned that pigs' udders (the mammary gland of female) are a good meal. This shows that pigs' udders, a pricey and desirable food in the Roman kitchen, were still regarded as such. He recorded that some people eat melon with posca and Pennyroyal, which compares to a Roman recipe for melon with a liquid such as vinegar or passum. How to Use Herbs in Cooking Delicious Food?